The United States doesn’t excel at everything – in fact, it’s among the world leaders in many dubious categories. We found 11 maps that show how other countries are beating the US. The US has room to improve when it comes to education scores, employee rights, and energy consumption. The United States is a dominant force on the global stage, but it doesn’t excel at everything. Just look at the list of countries that offer paid vacation to its workers, for example – the US is one of the only countries in the world that doesn’t guarantee them any. As it turns out, the US leads the world in a number of other dubious categories, including gun ownership, energy consumption, and greenhouse gas output. Check out the maps below – they might change the way you see the US. 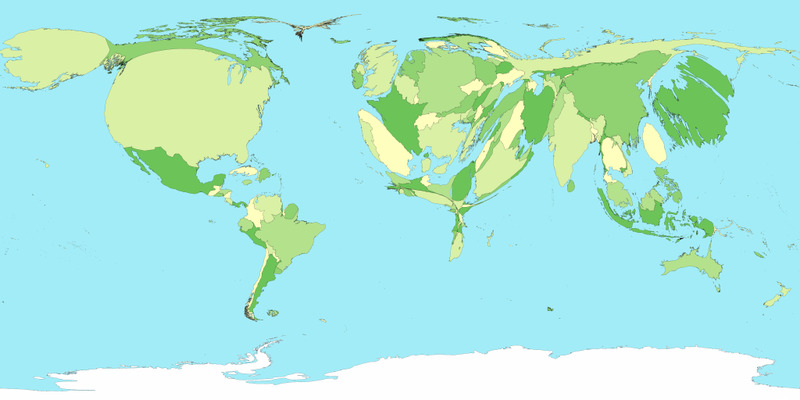 This map shows the number of prisoners per 100,000 people — the US has the highest incarceration rate in the world, with 716 of every 100,000 people behind bars, according to the World Prison Population List. 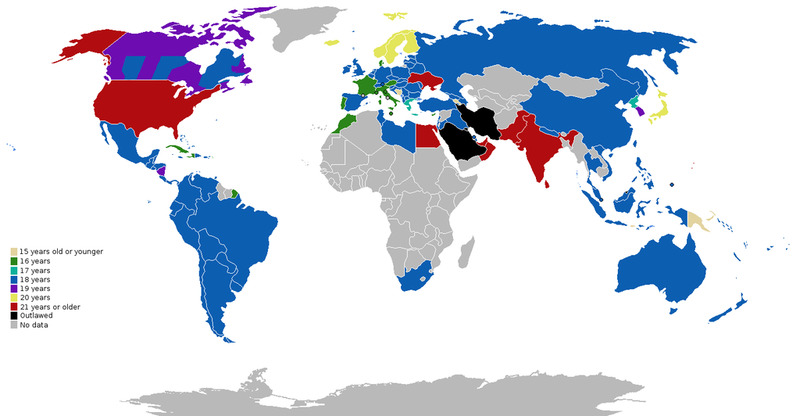 The US is unquestionably the world leader in gun ownership. In America there are 101 guns for every 100 people, according to NPR — the next country, Serbia, has 58. 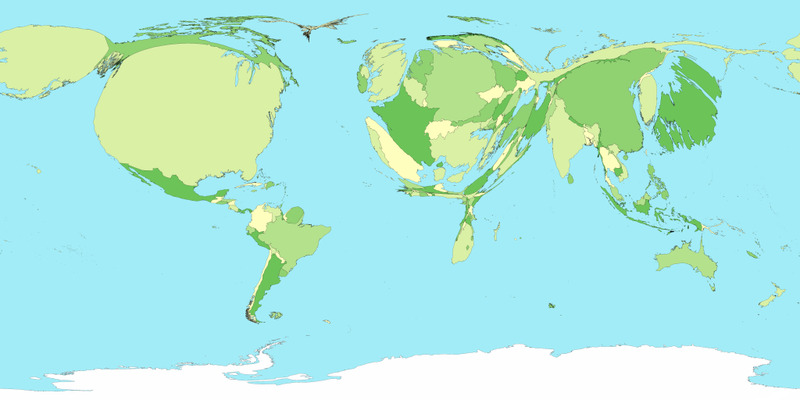 This cartogram from the Rehydration Project resizes countries by their energy consumption. 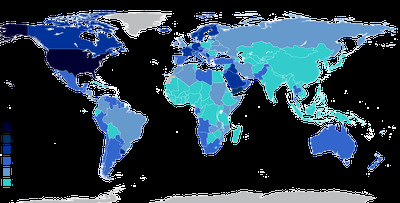 The US leads the world in this metric, consuming more than 20% of the world’s energy, according to Politifact. This World Policy Forum map shows how much paid leave employees in each country are guaranteed. According to the International Labour Organisation, the US is the only industrialized nation that doesn’t guarantee paid leave to workers, leaving it up to employers instead. 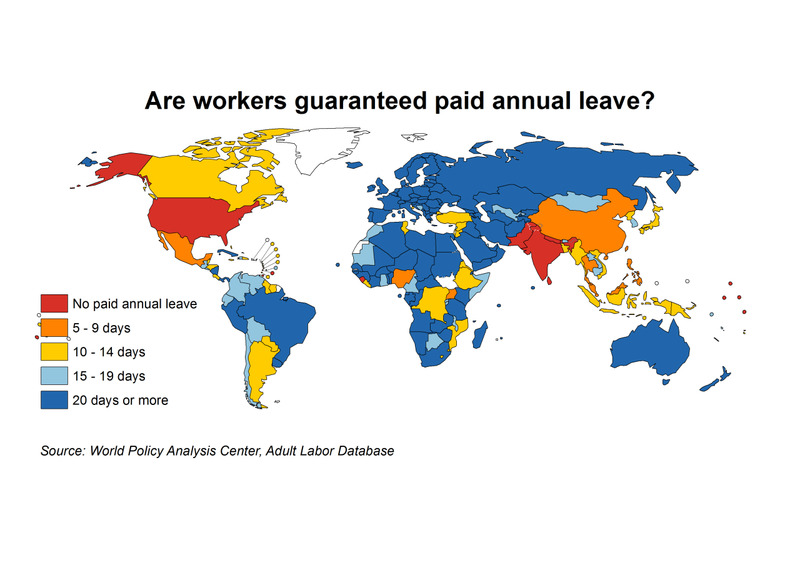 The US is also one of the only not to guarantee paid parental leave to workers, according to the World Policy Center. America remains one of the only countries in the world that does not use the Celsius scale to measure temperature. The others are the Bahamas, Belize, and Palau. The US is tied for the highest minimum drinking age in the world at 21. Only 11 other countries set the limit that high, according to Metro. 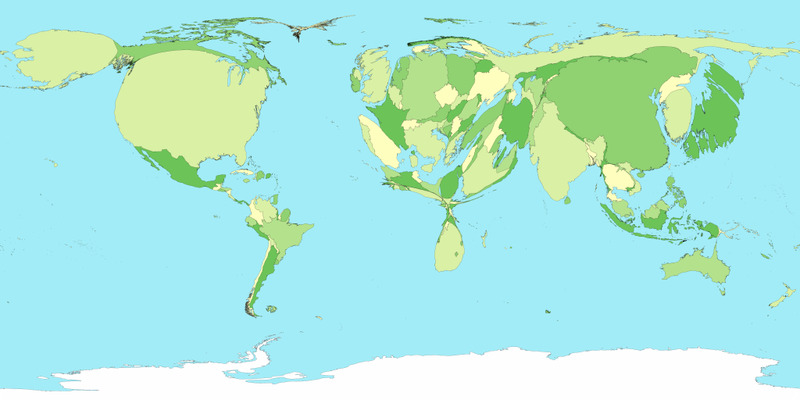 This cartogram resizes every country based on their greenhouse gas output. 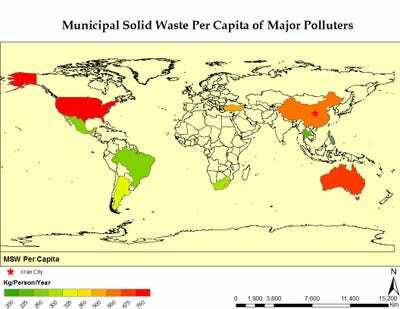 The US and China dwarf all other countries in this category, according to the World Resources Institute. 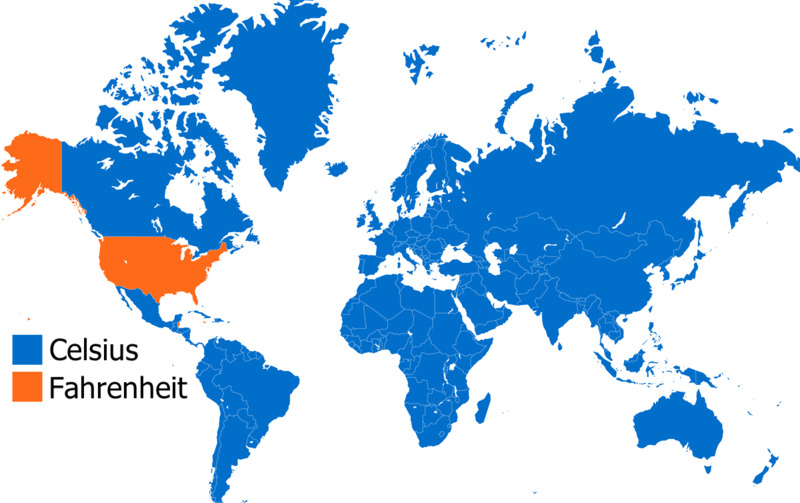 Famously, the US is one of three countries that has resisted using the metric system. Liberia and Myanmar are the two other holdouts, according to the CIA World Factbook. 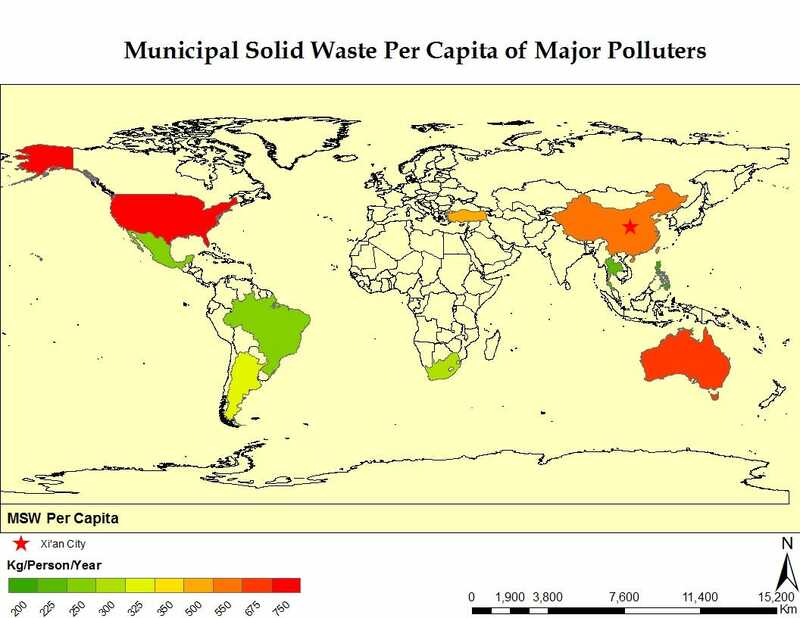 Americans produce more waste than almost every other country on earth, according to NPR’s State Impact project. The Programme for International Student Assessment measures the educational performance of 15-year-olds around the world. 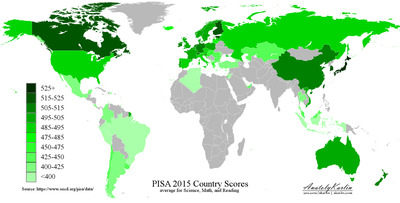 This map by blogger Anatoly Karlin shows the US lags behind many industrialized countries in its test scores, according to data from the Organisation for Economic Co-operation and Development. Americans spend more money on healthcare than people from anywhere else — $US9,086 per person, according to a 2015 Commonwealth Fund report. The next country on the list, Switzerland, spent $US6,300 per person.